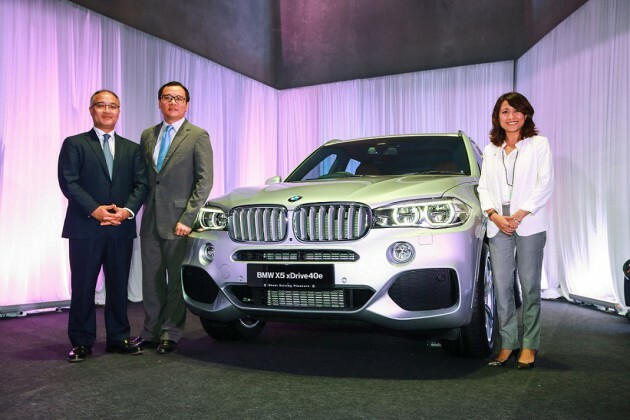 On June 23, BMW introduced the new BMW X5 xDrive40e in Malaysia, the premium automaker’s newest locally assembled plug-in hybrid vehicle in the country. 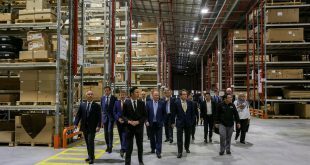 Han added that the new BMW X5 xDrive40e assembled in Malaysia is the 11th model to join the portfolio of locally-assembled vehicles at BMW Group Malaysia’s Assembly Facilities at the Kulim Hi-Tech Park, introducing new local content, assembly and testing equipment at the facility. “The new BMW X5 xDrive40e marshals in the next chapter of BMW EfficientyDynamics, delivering exceptional performance as well as all-electric mobility with zero emissions and introduces a new form of commanding driving experience with a combination of pure electric and dynamic driving in a sports activity vehicle,” said Han. Exclusive, bespoke design touches on the model’s exterior clearly identify the new BMW X5 xDrive40e as a classic sports activity vehicle while also making its unique hybrid capabilities plain to see. The most noticeable feature is the charging connection for the high-voltage battery located in the left front wing. Blue light effects appear here at the start of the charging process to indicate the flow of energy. The exhaust system on the new BMW X5 xDrive40e meanwhile, has a twin-tailpipe design with trapezoidal tips. Besides the model badge at the front of the vehicle’s flanks, the “eDrive” logo already familiar from the BMW i models graces the tailgate with their blue background colour as well as the centre console. Further accentuating the dynamic character of the new BMW X5 xDrive40e is the M Sport Aerodynamic Package featured as a standard. In distinction to the Adaptive LED headlights, the new BMW X5 xDrive40e also features LED fog lights. 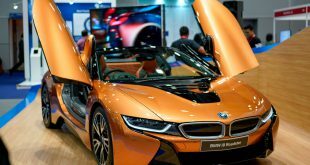 Its body is dressed with BMW Individual Exterior Line Aluminium satinised and is equipped with 19-inch M Double-spoke light alloy wheels with mixed tyres. 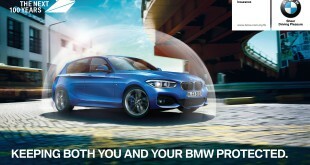 Drivetrain: BMW TwinPower Turbo and BMW eDrive techonologies. The intelligent hybrid powertrain control and permanent all-wheel drive together, makes for an utterly effortless performance and supreme efficiency out on the road. The new BMW X5 xDrive40e has a drive system comprising of a two-litre four-cylinder petrol engine with BMW TwinPower Turbo technology and a synchronous electric motor integrated in the 8-speed Steptronic transmission. The new BMW X5 xDrive40e is fitted with a 2.0-litre combustion engine, which has already won the coveted title of “International Engine of the Year” three times, and features a TwinScroll turbocharger, High Precision Injection, VALVETRONIC variable valve timing and variable camshaft control on both intake and exhaust sides. As the most powerful four-cylinder petrol unit in the BMW Group’s engine portfolio, the new SAV is powered with delightfully free-revving performance and highly refined characteristics. It generates a maximum output of 245 hp and 350 Nm of peak torque. The electric motor meanwhile, delivers an output of 83 kW with a maximum torque of 250 Nm, instantly available in typical electric drive fashion. This boosts the engine’s output for increased responsiveness with absolutely no delay when accelerating from stationary, as well as providing strong performance whenever a quick burst of speed is required. Together, the new BMW X5 xDrive40e completes the 0 to 100 km/h sprint in just 6.8 seconds and has an electronically limited top speed of 210 km/h and 450 Nm of peak torque. In all-electric mode meanwhile, the new SAV is able to travel at a top speed of 120 km/h. The exceptional dynamic acceleration of the new BMW X5 xDrive40e is accompanied with lesser fuel consumption of 3.3 litres per 100 kilometres and C02 emissions of just 77 grams per kilometre. The power stemming from the two drive units is transformed into effortless forward motion courtesy of the 8-speed Steptronic transmission and the BMW xDrive permanent all-wheel-drive system. Regardless of the proportion of drive power being sourced from the engine and motor respectively, the xDrive system ensures supreme traction in all weather and road surface conditions, together with optimised handling stability and increased agility when powering through corners. 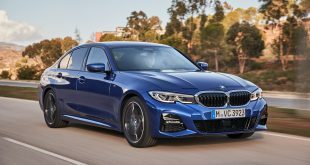 As it is linked up to Dynamic Stability Control (DSC), the xDrive system is furthermore capable of acting in advance to counter vehicle understeer or oversteer. The vehicle set-up and powertrain control can be configured as desired with the Driving Experience Control switch and eDrive button. The latter, located on the centre console allows the driver of the new BMW X5 xDrive40e to rotate between the default AUTO eDrive setting, MAX eDrive setting, or the SAVE Battery setting. In the AUTO eDrive setting, both engine and electric motor works in tandem highly efficiently. The electric motor alone is used for setting off with normal power requirements, while the engine cuts in at around 70 km/h or when the driver wishes to accelerate very sharply. In this mode, the intelligent operating strategy determines the most efficient drive combination at all times and switches to it automatically. When switched to MAX eDrive, the driver will travel in all-electric mode, in which the vehicle is powered solely by the electric motor. This mode is designed for comfortable driving with zero local emissions without the engine being activated. It offers a maximum range of 30 km at a limited top speed of 120 km/h. The third mode, SAVE Battery, allows the driver to save or build-up the high-voltage battery’s energy reserved for a later point in time. When driving on the road for instance, the state of charge can be kept constant or even boosted in order to use the high-voltage battery’s power for all-electric driving in urban areas later in the journey. This way, the stored energy can be selectively deployed exactly when required. Additionally, the new BMW X5 xDrive40e also comes as standard with a Driving Experience Control switch which activates the vehicle set-up modes COMFORT, SPORT and ECO PRO. Each has an effect of altering the throttle mapping, the steering characteristics, the responses of the 8-speed Steptronic transmission, and the characteristics of Adaptive M suspension with it’s sport suspension setting, specifically tuned Dynamic Damper Control and air suspension equipped as standard on the new SAV. The modes selectable with the eDrive button and the Driving Experience Control switch can be combined with one another at will, allowing the powertrain control and vehicle set-up to be tailored precisely to the prevailing situation and the driver’s personal preferences. This consequently allows for further comfort, sportiness and efficiency to be combined with high-intensity hybrid driving as desired. The new BMW X5 xDrive40e comes as standard with a black-panel instrument cluster which has had hybrid-specific functions added to its array of readouts. The drive readiness display positioned in the lower part of the engine rev counter switches from “OFF” to “READY” when the start/stop button is pressed. The high-voltage battery’s state of charge is visualised in the form of a battery symbol below the gear display. The Driving Experience Control switch setting is also indicated, as is the operating mode selected with the eDrive button. A wealth of innovative BMW ConnectedDrive features furthermore helps to plan journeys in such a way that the new SAV drives on electric power alone as much as possible and at maximum efficiency at all times. The Navigation System Professional with a 10.25” display monitor fitted in the new BMW X5 xDrive40e as standard gives drivers the option of calculating a hybrid-specific ECO PRO route to an entered destination. The intelligent energy management function in the new BMW X5 xDrive40e utilises the available data on the route profile for all navigation-assisted journeys. This forms the basis for anticipatory and efficiency-optimised powertrain control that keeps fuel consumption as low as possible while making intensive use of electric mobility. On longer journeys that go through urban and rural areas for example, Brake Energy Regeneration can be employed and the engine’s load points are deliberately raised at higher speeds to ensure there are sufficient power reserves for completing the urban sections in all-electric mode. There is also a whole host of options on offer including the Driving Assistant system which features Lane Departure Warning, City & Pedestrian Collision Warning. Other driver assistance features include Park Distance Control (PDC) in the front and rear with visual and acoustic feedback as well as Surround View including a rear view camera. As for BMW ConnectedDrive Services, the new BMW X5 xDrive40e comes with Intelligent Emergency Call, BMW TeleServices, Concierge Services and eDrive Services. Charging options from BMW 360° ELECTRIC. The plug-in hybrid design of the new BMW X5 xDrive40e provides the ideal basis for extensive use of the electric drive system for highly efficient mobility, even in urban driving with zero tailpipe emissions. Its high-voltage battery offers a gross energy capacity of 9.2 kWh and can be topped up with energy from any domestic power socket. When charged by a conventional domestic power socket, the high-voltage battery can be fully recharged from flat in around 3 hours 50 minutes. 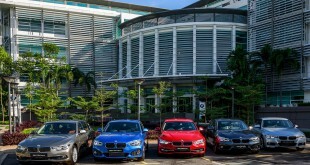 Under the umbrella of BMW 360° ELECTRIC, customers are offered the ChargeNow service, comprising of a ChargeNow card that grants straightforward access to partner charging stations, ChargEV, offered through BMW Group Malaysia’s partnership with Malaysian Green Technology Corporation (GreenTech Malaysia). The ChargEV stations are already operational in 19 strategic locations throughout Kuala Lumpur, Selangor, Kedah, Melaka, and Johor. The new BMW X5 xDrive40e is available in the exterior colours of Glacier Silver, Mineral White, Space Grey and Carbon Black with upholstery choices of Leather Dakota Terra or Leather Dakota Black. With Government Approved Hybrid Incentive, you can now drive away a new BMW X5 xDrive40e at RM388,800.00 OTR without insurance, with BMW Group Malaysia’s latest 5 Years Unlimited Mileage Warranty, Free Scheduled Service Program and BMW Tyre Warranty Programme).